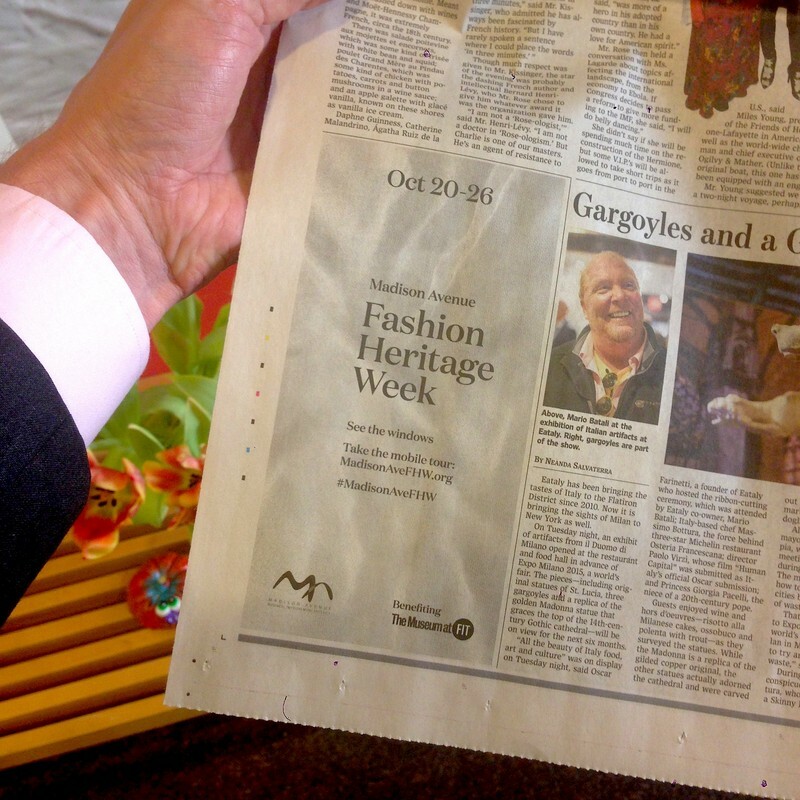 Madison Avenue Fashion Heritage Week is right around the corner, running next week from October 20 – 26, 2014. Ads designed by C&G Partners for the Madison Avenue Business Improvement District have been cropping up all around the city, including in the pages of the Wall Street Journal (see below). The event benefits The Museum at FIT and includes specially-curated shop windows all along Madison Avenue, supported by an app produced by C&G Partners. See you at #MadisonAveFHW, @MadisonAveFHW (and of course on Madison Avenue itself) all next week!